Mazda plans to offer both 1.5-litre and 2.0-litre (and normally-aspirated) versions of the new MX-5, including in Australia. But it wasn’t always going to be the case. 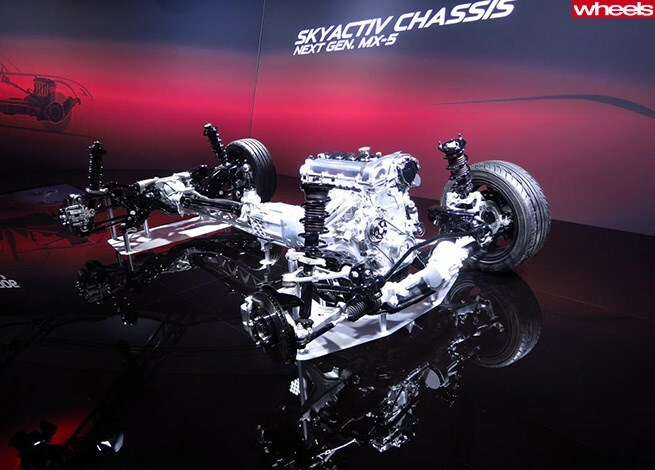 The car was originally developed around the concept of a new, high-revving, SkyActiv 1.5-litre engine, at least until the Americans got wind of the plan and argued in favour of a bigger-capacity 2.0-litre engine – as offered in the current model – for the fourth-generation model. As easily the biggest single market for the sports car, America insisted on the 2.0-litre engine, even if it meant a delay in the launch timing. Eventually, the Japanese caved in and worked on a higher-revving version of the same basic 2.0-litre engine as used in the Mazda3 and CX-5. Australia is expected to get both engines when the new car goes on sale in 2015. So what exactly is the Mazda CX-30?